So this year, I am sending you a unique holiday card. Handwritten by us. Thoughtfully. Because I figured, everyone’s beguiled with the materialistic side of Christmas that people have forgotten the true essence of it. My mama for one is too busy whipping up holiday recipes in the kitchen, she didn’t even know I am writing this post for her. 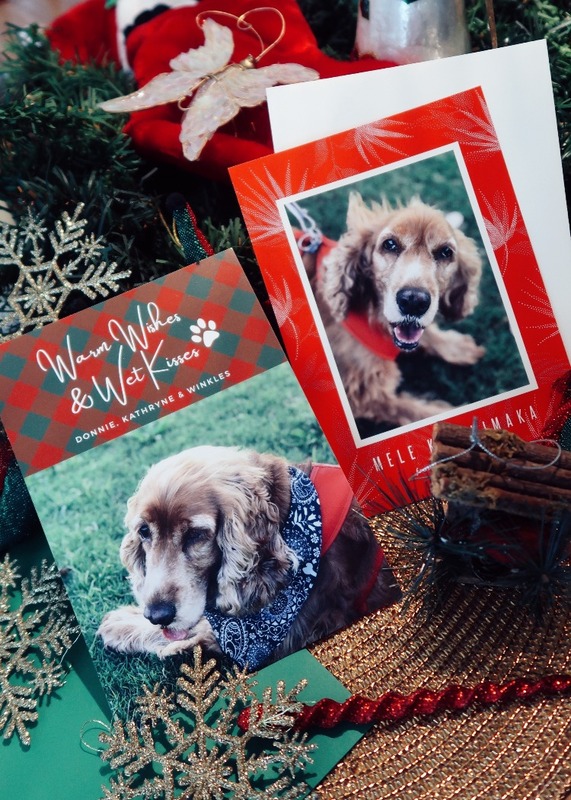 Oh boy, I do look cute in these holiday hards, I can’t even begin to tell you how bloody ecstatic I was when my hooman showed me these cards! My gramma will be thrilled! To realize our vision, I ordered these unique and elegant holiday cards from Basic Invite. Let me tell you, their design and color choices are unlimited so express your creativity whichever way you want! You can even request for sample prints especially if you are looking to print by the hundreds. Did I mention that they have at least 500 Christmas and Holiday card designs? Gosh, I had fun choosing and creating ours, it took me more than an hour to finalize and check out because I kept changing the colors, haha! But the whole process was a breeze and dummy-proof, even if you don’t have the eye for details. My unique holiday cards came in about a week so beat the holiday rush and order now. Basic Invite is currently offering 30% off your purchase with code holi30 so better grab this deal before it’s too late! Depending on the style, type of paper, and quantity, each card only costs about $2.99. Practical yet thoughtful, let’s bring back the true joy of Christmas. After all, it’s the meaning behind, as Winkles put it. Have you thought about customizing your holiday gift this year? what’s on your master plan? what about some holiday treats like these no-bake naughty nutty balls? 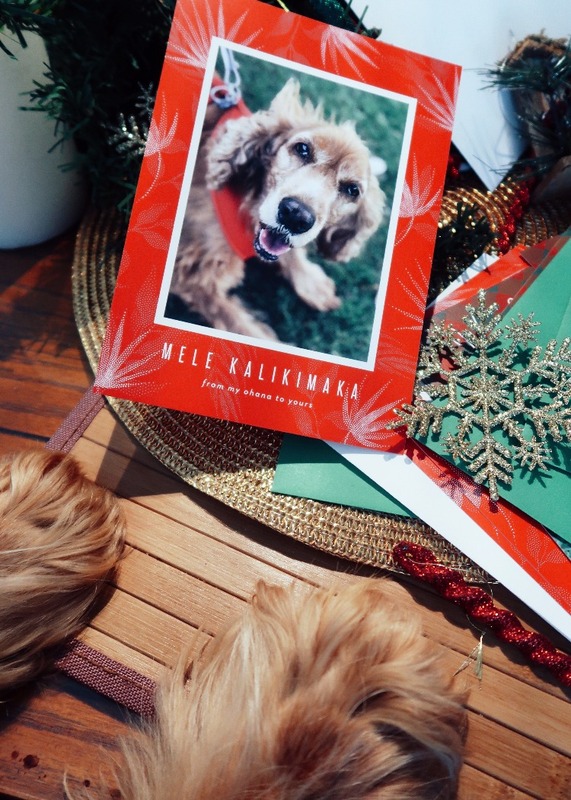 Those are the sweetest holiday cards ever! I seriously love everything about this post. lol. I love that you had Winkles write part of it. 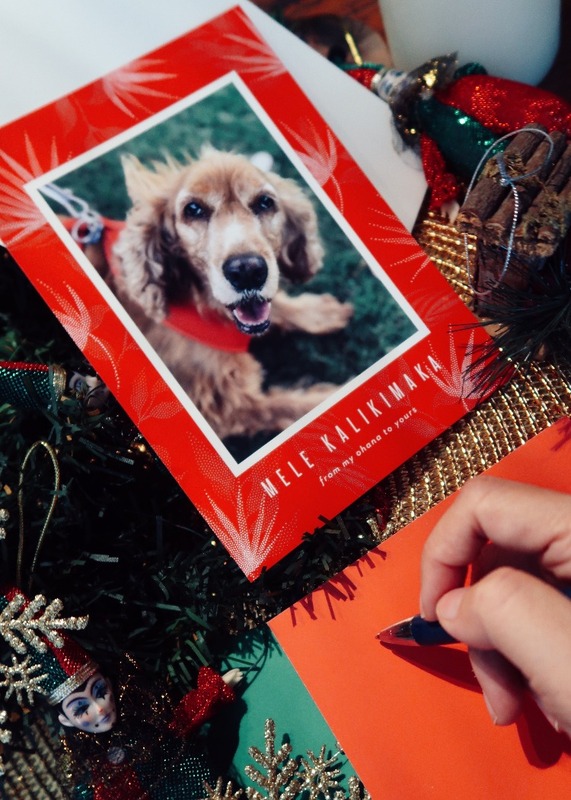 I love the idea of personalized Christmas cards. Super cute post,Kath! I will never get sick of physical cards. They mean more to me than the gift! Great holiday cards. I love when I get cards with family pictures and this sweet dog is your family. Such a nice way to share with your loved ones. Such a cute pup! I love how they are personalized. I’d love to do that with our little kittens…with them demolishing our christmas tree – hahah! How adorable! I just want to give your sweet dog a hug lol. Your holiday cards came out great! How adorable! I haven’t sent holiday cards in years. 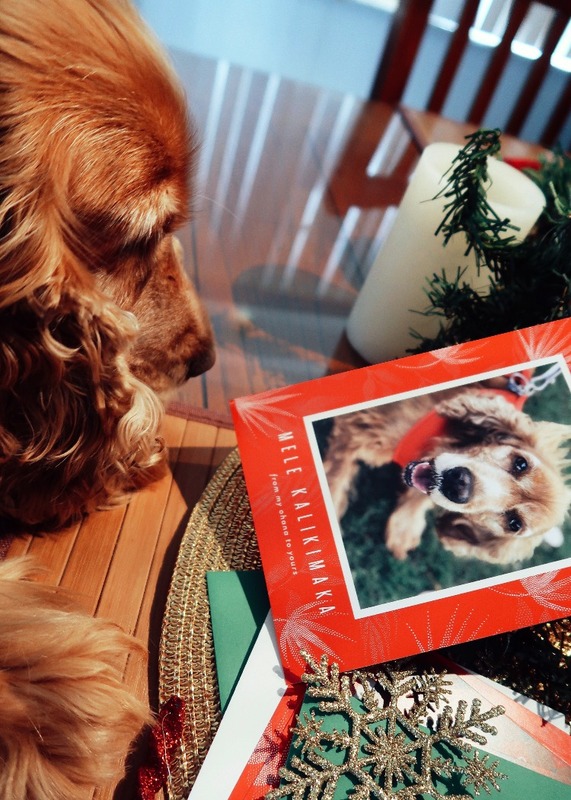 Super cute Christmas cards! I need to get on mine ASAP! Such cute cards! This is a great idea! Hahahaha what plan? These cards are gorgeous! 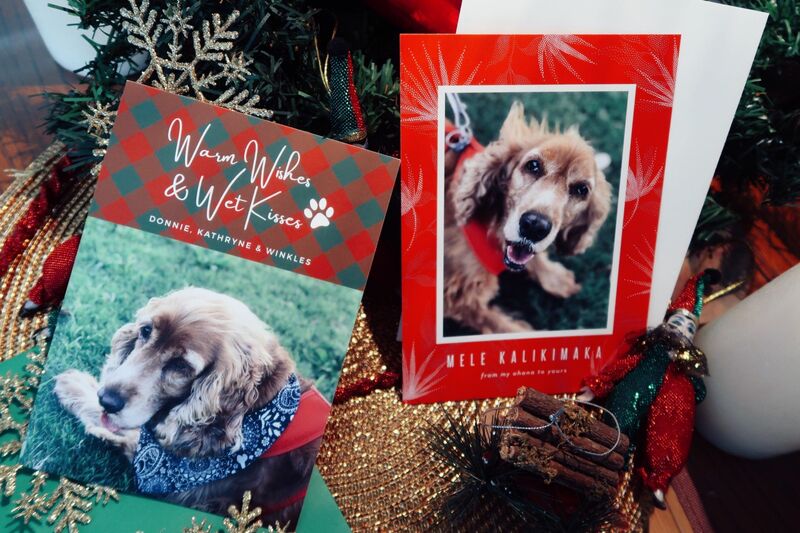 I had an ex boyfriend do holiday cards with me and our dog one year, and I loved them! Maybe I can convince my cuteboy to do some with me now that we have a kitten! 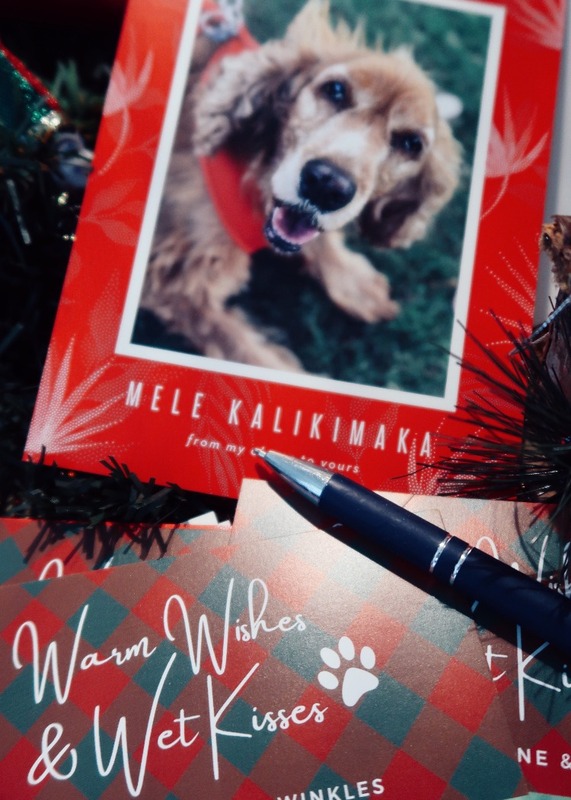 Christmas Cards and Pets are the best!!! Hi Wrinkles! How cute! I love that they have so many designs to choose from! We’re moving right before Christmas so I’m not sure cards or much of anything is going to happen this year unfortunately.